Peter is a Thudgari man who played an integral leadership role in his peoples’ Native Title Determination in 2009. He is also an applicant on the current combined Thiin-Mah Warriyangka Tharrkari Jiwarli native title claim. Peter lives in Gascoyne Junction and is a well respected community leader in the region. He is the chairman of the Windi Mia Aboriginal Corporation, where he is pursuing possible tourism and pastoral ventures in the Yamatji region. In 2018, Peter became the Director of the National Native Title Council. He is passionate about Country and the depth Aboriginal people are spiritually connected to the land. Peter was re-elected to YMAC’s Board of Director’s and the Yamatji Regional Committee in December 2018. Deborah is a Malgana woman. She currently works with the Carnarvon Aboriginal Medical Service and looks forward to contributing her cultural knowledge and skills towards her work for the Yamatji Regional Committee and Board of Directors. Country is very precious to Deborah’s heart. For her, Country goes way back to ancestors and now it is up to the current and younger generations to respect what is here. Deborah is very active. In her spare time she enjoys singing and dancing as well as playing basketball, football, softball, darts and going fishing and swimming. Paul is a Baiyungu man and a member of the Gnulli native title claim. He is the general manager of the Baiyungu Aboriginal Corporation, which is involved in development and land holdings in the Coral Bay area, including the Cardabia pastoral lease. Paul lives in Carnarvon and is a keen fisherman, but also enjoys hunting and camping in his spare time. Being on the YMAC Regional Committee is important to him because he believes that full recognition of traditional ownership provides Aboriginal people a base for building strong communities and enterprises. Richard is a Malgana man from Carnarvon who is actively involved in his community and has experience working on a variety of boards and committees for community organisations. Richard has been involved in native title for a long time. Access to Country to be able to pass on lore and culture to is very important to him. Richard would like to see recognition for all Aboriginal people and believes it is important for Aboriginal people unite and work together to protect their culture and Country. Richard was elected to the Board of Directors and the Yamatji Regional Committee at the Yamatji Annual Regional Meeting on 30th November 2014. Albert is a Malgana man who grew up in Carnarvon and then moved away for about 30 years to live and work in Perth. He recently made the move back to Carnarvon around four years ago. Albert became a Yamatji Regional Committee member so that he could get involved in Aboriginal matters affecting the community. He was recently elected as a Director on YMAC’s Board in December 2018. Cicily is a Wajarri woman and a resident of Carnarvon. She works as a transport officer for the Carnarvon Medical Service Aboriginal Corporation and is a dedicated mother and grandmother. Cicily is pleased to be a member of the Yamatji Committee so she can work towards her vision for the future. Her aims for the future includes the passing on the knowledge to Aboriginal children to know their culture, language and heritage. She looks forward to seeing her grandchildren learning their languages from both sides of her family. In her spare time, Cicily loves gardening and learning about Wajarri Country. Susan is a Malgana woman who is very active in the Carnarvon community. She is the acting Chair of the Carnarvon Aboriginal Congress, a body set up to address the needs of the community, and is part of the Carnarvon Medical Service Aboriginal Corporation. She also involves herself in the local community by participating as an umpire for local sports teams. Country means everything to Susan. She wants Aboriginal people to be able to be free on Country, to hunt and fish and look after the land and the environment. This and her desire for justice for Aboriginal people motivates her native title work with YMAC. Merle is a Thudgari Traditional Owner with deep roots in her community. She previously served on the YMAC Board of Directors and Yamatji Regional Committee from 2008-2010, from 2012-2014, and was elected back on the Yamatji Regional Committee in November 2016. Victor is a Wajarri man from Northampton who has very deep ties to the region. He gained his citizenship from the Australian Government in 1967. He has a long history of working with the Aboriginal community, on the Commission of Elders at state as well as a regional level. He has accomplished this through the Department of Justice helping prisoners. His work with Aboriginal prisoners earned him the Order of Australia. He is grateful for the opportunities he has had to help his community. His work in native title is motivated by a desire to gain recognition for Traditional Owners. He wants to carry on the fight of elders who have passed before they were able to gain legal recognition of their Country and culture. Ben is a Thudgari man who lives in Carnarvon. He was instrumental in assisting his community in the work towards their Native Title recognised in 2009. He is involved in the Thudgari People’s Prescribed Body Corporate (PBC), Wyamba. Ben enjoys fishing, camping and visiting Country with his children and grandchildren. Ben has served on the Yamatji Regional Committee and the YMAC Board of Directors, and was re-elected to the Yamatji Regional Committee in November 2016. Sharna is a Malgana woman who grew up in Carnarvon. Sharna is pleased to be elected as a committee member as it will give her the opportunity to learn more about YMAC’s operations and provide input on issues that matter. As a committee member, Sharna hopes to see the Aboriginal people who are fighting for their land have access given back to them so that the elders can teach the younger generation about the land and its background. Tracey Tonga (Edney) was elected to the Yamatji Regional Committee in December 2018. Roberta Dann was elected to the Yamatji Regional Committee in December 2018. 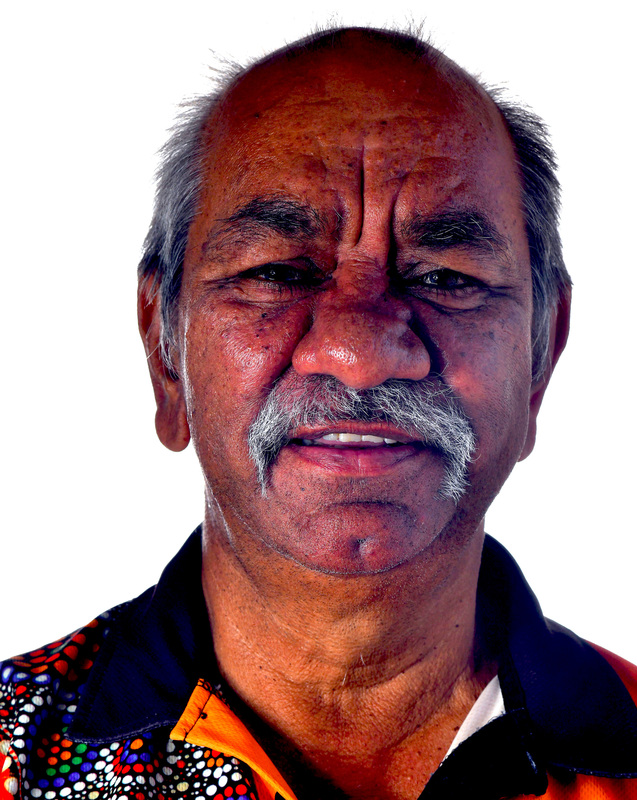 Rodney is a Nanda and Wajarri Yamatji man who grew up in Northampton. He left when he was 16 years old and has been living and working in Carnarvon ever since. Rodney enjoys being a committee member and the discussion that is generated during meetings. As a member, he wants to help the community get access to their land and get claims determined so that the Aboriginal people can go back to Country. In 2018, he would also like to see more partnerships established with the Aboriginal communities so that more jobs can be created, and health and education can be improved.